MCCBD may officially be over until 2016, but the guest posts and author visits will continue! This week we are welcoming author Maritza Martinez Mejia to share her fun answers to our Q&A and some details about her work. 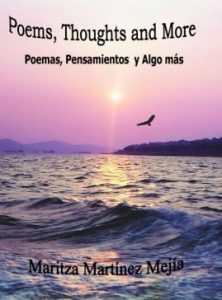 My latest bilingual book, “Poems, Thoughts and More: Poemas, Pensamientos y Algo más” contains poems in English and Spanish to celebrate life and author’s voyage anecdotes to appreciate diverse cultures, languages and traditions. As an author, how do you know when you have discovered an idea for your next book? I discover new ideas for my next book, first by listening to others; second, by trying to understand their needs; and third, by reading other authors. What was the catalyst for creating your latest book? I used a self-publish method. I crafted several drafts to master the idea until I had the final manuscript. Then, I sent it to my editor who proof read it. Last, I worked with a local publisher who created the covers, as my request, and put together the final document for printing. My paperback and e-book were ready in less than three months. What’s next? What projects/books/events do you have in the works that you would like to share? Listening to children during my classroom visits I decided to write something about “A Cat.” It was not part of the sequel of “Lessons for Living” that I writing for children, but I would make happy some of my dear small friends. Please share details of your books and also your social media links too! a book that contains a character of color: Vanilla and Chocolate. 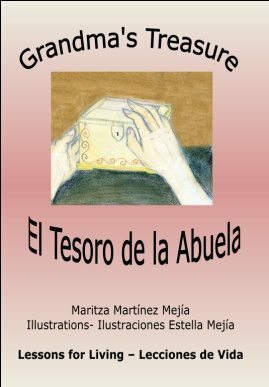 a book that embrace language, culture and traditions: Poems, Thoughts and More. Synopsis: A concerned teacher helps two friends be together after their parents refused to let them play because of their skin color. Recommended for ages 5-8 / Reading Level 1st to 3er grade. This Book received Five Stars Reader’s Favorite Review. Synopsis: An upset Grandma teaches their grandchildren a lesson for life, to value what they have as she reveals her most valuable treasures when she was a child. This volume has both English and Spanish. Recommended for ages 5-8. Reading Level: K-er grade. Spanish learner level 1. This Book received Five Stars Reader’s Favorite Review. Synopsis: A bilingual book of Inspirational poems in English/Spanish to celebrate life. It includes flash fiction short stories and author’s voyage anecdotes for all ages. Maritza Martinez Mejia is an award recipient of the Crystal Apple Award 2006, F.A.U. 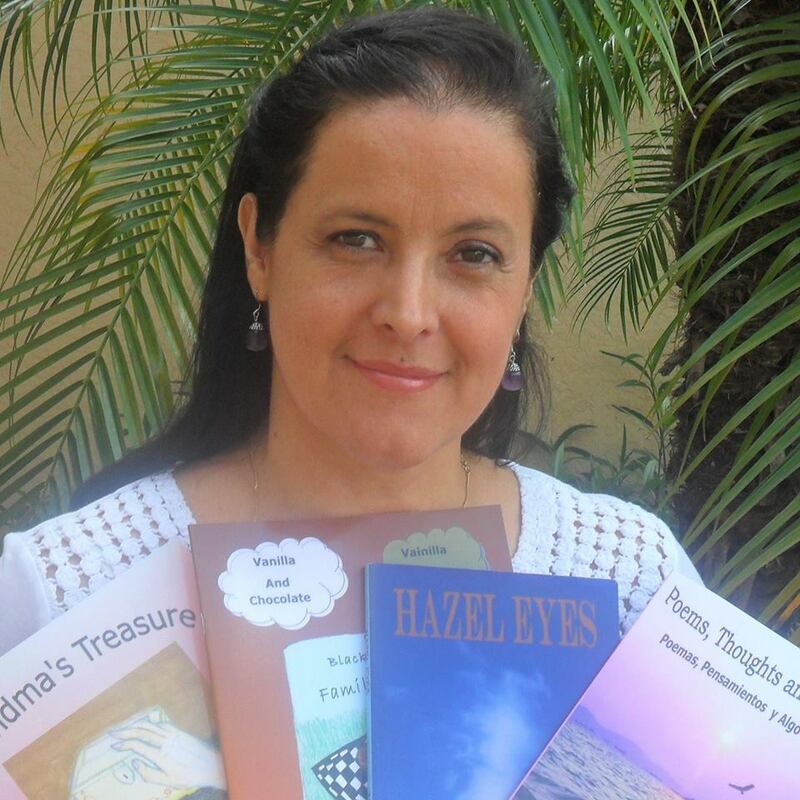 Poetry Contest 2010, and 2015 Christian Poetry Winner for “Poems, Thoughts and More.” She is the author of a Five Stars Reader’s Favorite Bilingual Children Books Lessons for Living, and her memoir “Hazel Eyes.” Maritza has translated into Spanish “Temporary Permanence” by Yashi Nozawa, “The Legend of the Colombian Mermaid” by Janet Balleta, and “Hazel Eyes” as “Ojos Avellana.” Maritza graduated from Colegio Mayor de Cundinamarca in Commerce and Foreign Language and obtained a Bachelor’s Degree in Humanities and Women’s Studies from Florida Atlantic University. Maritza writes to inspire others to be better persons. 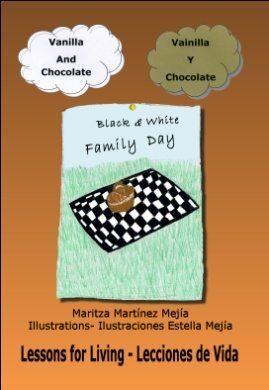 Thank you for the promotion and opportunity to share my Multicultural Children’s Books.